I have yet to meet a kid who doesn’t react strongly to messy activities. While most kids love it, some kids HATE the feel of slimy textures. 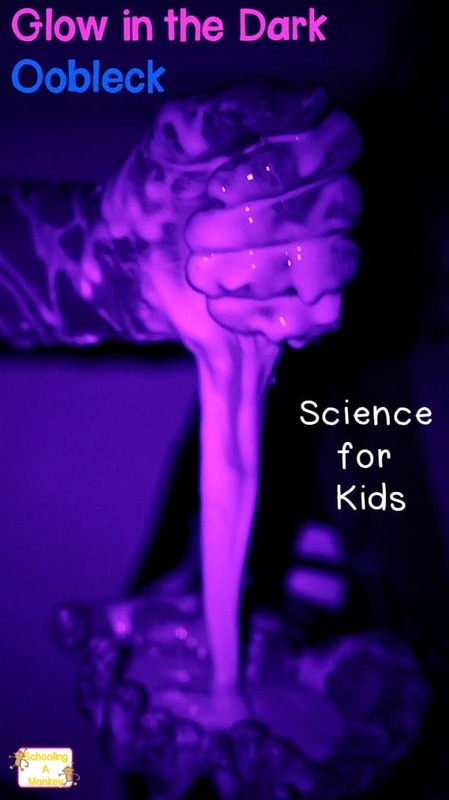 What makes this particular oobleck experiment amazing for kids is that it reacts similarly to slime, but it has a dryer texture that most kids can handle, even if they typically don’t like messy stuff. Oobleck is a wonderful science experiment that shows children just how non-Newtonian fluids work, and it’s super fun at the same time. 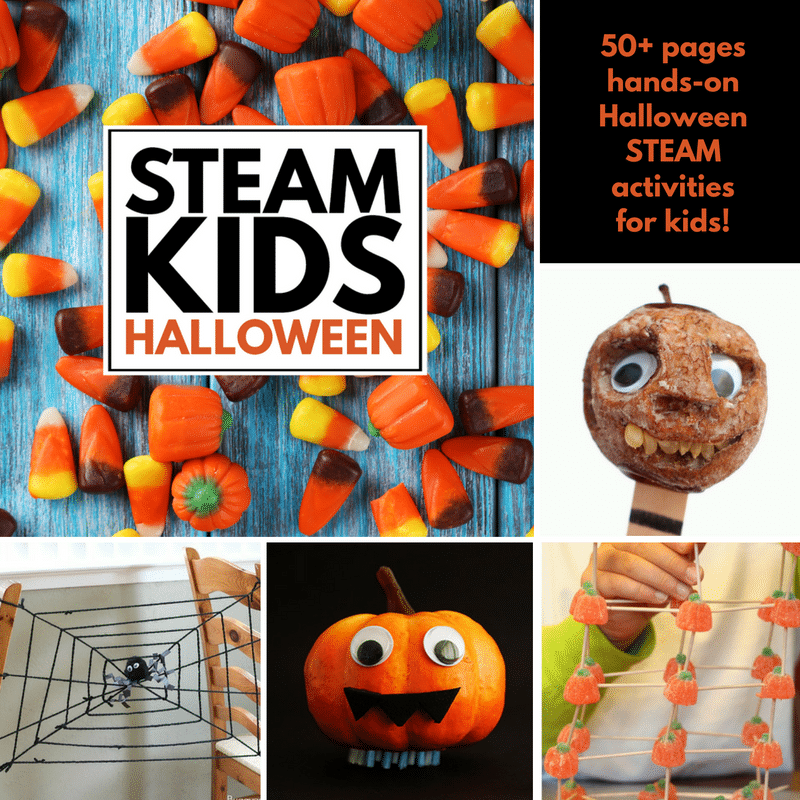 Whip up this glow-in-the-dark version for an extra dose of fun and play. 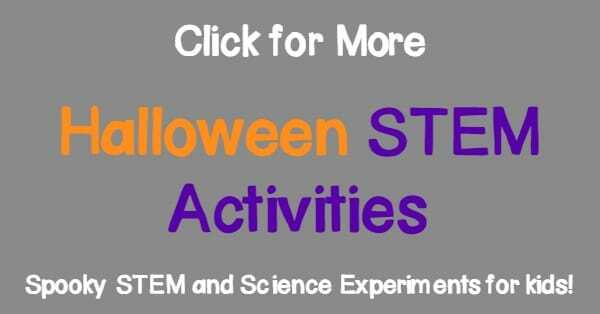 You can make it any time of year, or make it a Halloween for a spooky science surprise! 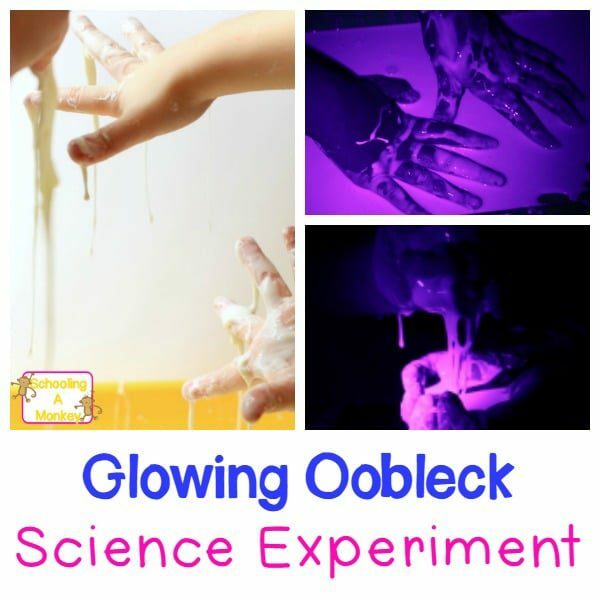 If your kids love science, Halloween, and glow in the dark fun, you won’t want to miss making this incredibly easy Oobleck experiment STEM activity! 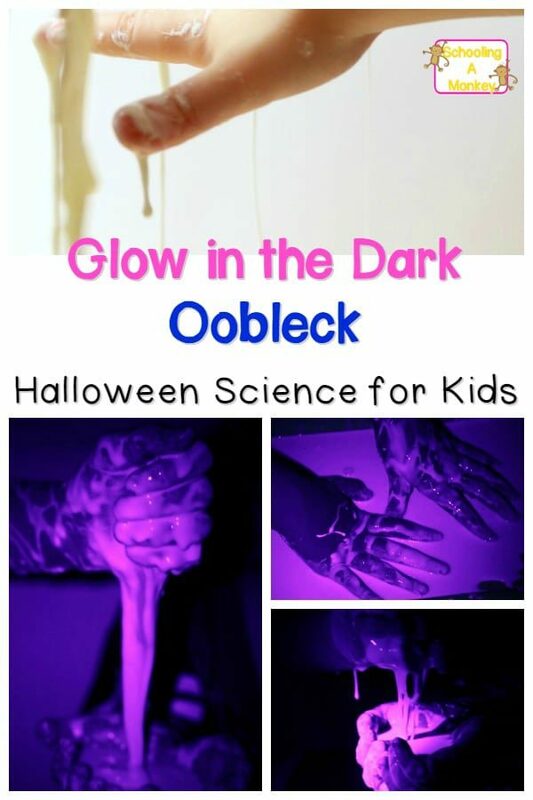 This glow in the dark oobleck experiment is perfect for Halloween science or blacklight fun any time of year! We love this science experiment because it literally has two ingredients and takes about 10 seconds to whip up. Mix about 2 parts cornstarch and 1 part quinine into your tray. If the mixture is stiff and doesn’t mix well, add a bit more liquid. If it is too wet, add a bit more cornstarch. Take the tray into a dark room (we played in our bathtub because this experiment can get a little messy). Turn off the lights and shine the blacklight onto the play tray for fun, spooky, glowing effects! Oobleck is a substance known as a non-Newtonian fluid. Newton thought that a substance was either a solid or a liquid and couldn’t have the properties of both. But Oobleck, and other non-Newtonian liquids, do have the properties of both a liquid and a solid. When pressure is applied quickly to oobleck, the particles are forced together and it feels like a solid. But, when you allow the mixture to move slowly, it drips off your fingers because the particles have enough time to move out of the way. Quicksand is another non-Newtonian fluid. The mixture started to become called Oobleck because of a Dr. Suess book about a slime-like creature called an Oobleck. 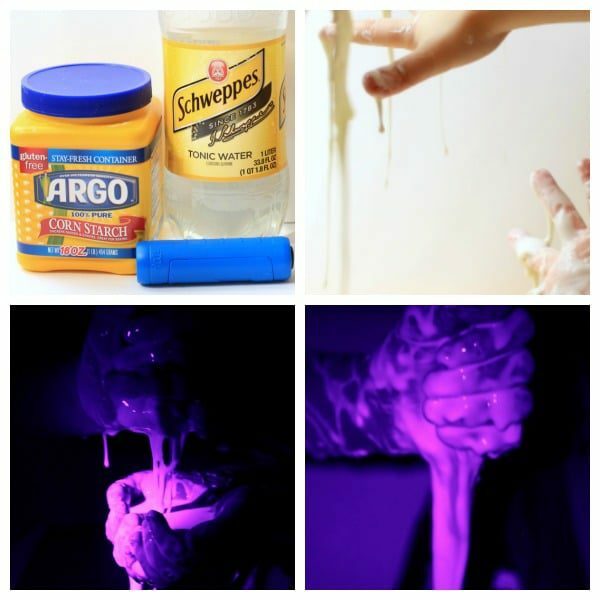 This particular Oobleck glows in the dark due to the addition of quinine, which is naturally florescent. This occurs when the particles in quinine move faster when exposed to light energy. Quinine particles release light when it returns to its normal state. This makes the particles glow under UV light.